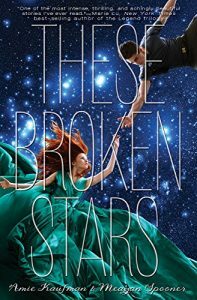 I must start this book review by mentioning another book review site, The Book Smugglers, because it is from that site and its really good, in-depth reviews that I learned about These Broken Stars by Amie Kaufman and Meagan Spooner. The book is sometimes called “Titanic in space” because the crash of a giant spaceship is what sets off its main conflict. The daughter of the richest man in the universe, and a poor, orphaned soldier are the only two survivors on a terra-formed, unpopulated planet, and they both hate each other. But they have to get along in order to survive. This is not the first time that such a conflict forms the centerpiece of a story, but it is the first time that it has been done with such original effect. What Is These Broken Stars About? Luxury spaceliner Icarus suddenly plummets from hyperspace into the nearest planet. Lilac LaRoux and Tarver Merendsen survive – alone. Lilac is the daughter of the richest man in the universe. Tarver comes from nothing, a cynical war hero. Both journey across the eerie deserted terrain for help. Everything changes when they uncover the truth. The Starbound Trilogy: Three worlds. Three love stories. One enemy. I, for one, loved the uniqueness of the plot and the premise, two young people marooned on a planet struggling to overcome the mindsets that keep them apart. They must search for other survivors and a way to communicate an SOS signal. In that sense, the plot is tied inextricably to their movement along their days-long hike. The evolution of their dynamic feels very real, especially since the story is told from alternating points of view. Lilac, the daughter, learns how and why she should really rely on herself more. Not only that, her eyes are opened to the dark deeds of her father, who has kept her under his gilded thumb her entire life. 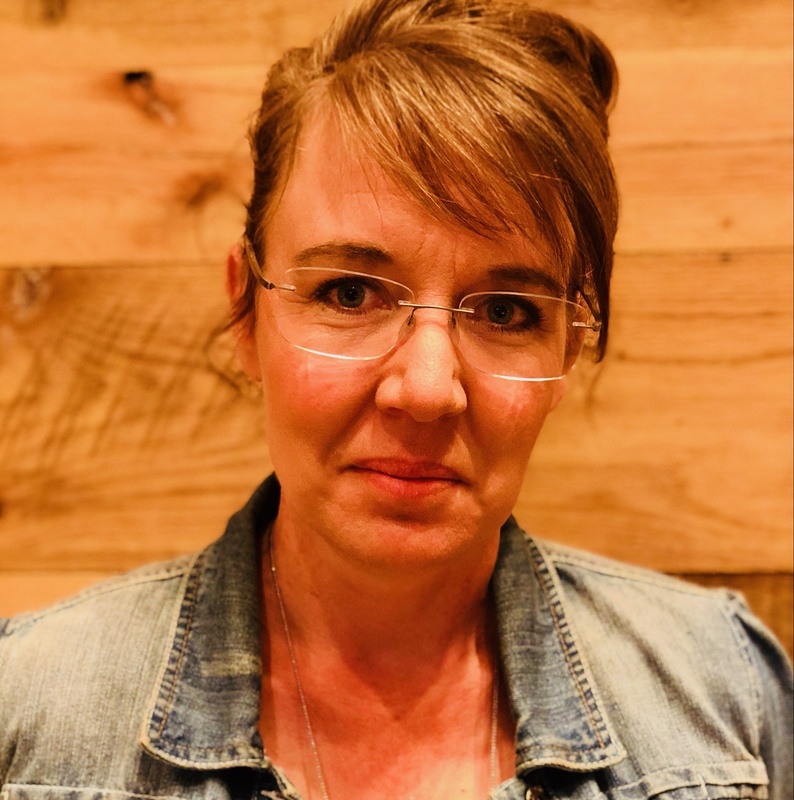 And Tarver–his discovery of the fact that there are things worth protecting, not just dying for, but living for and taking care of–it’s a beautiful thing. Were it just for those things, I would have rated These Broken Stars highly. But then, a twist developed that was wholly unexpected, that brought in more of a fantasy feel, that made it even better. I was, in fact, a very bad person when I read this, because I had to read it all through in one day! I felt like this book was well-paced, walking a perfect line between conflict and emotional development. It can be such a struggle to develop both simultaneously. It was one of those books that pulls you inexorably forward to find out what happens. A joy to read. 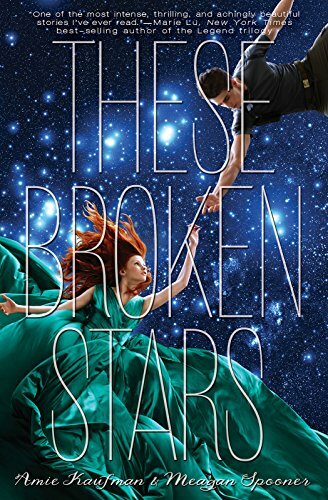 You can get These Broken Stars for $3.98 on BetterWorldBooks with free shipping. Jubilee Chase and Flynn Cormac should never have met. Lee is captain of the forces sent to Avon to crush the terraformed planet’s rebellious colonists, but she has her own reasons for hating the rebels. Rebellion is in Flynn’s blood. His sister died in the original uprising against the powerful corporations that terraformed Avon. These corporations make their fortune by terraforming uninhabitable planets across the universe and recruiting colonists to make the planets livable. They promised better [lives]. But they never fulfilled their promise on Avon, and decades later, Flynn is leading the rebellion against them. Desperate for any advantage in a bloody and unrelentingly war, Flynn does the only thing that makes sense when he and Lee cross paths: he returns to base with her as prisoner. But as his fellow rebels prepare to execute this tough-talking girl with nerves of steel, Flynn makes another choice that will change him forever. He and Lee escape base together, caught between two sides of a senseless war. 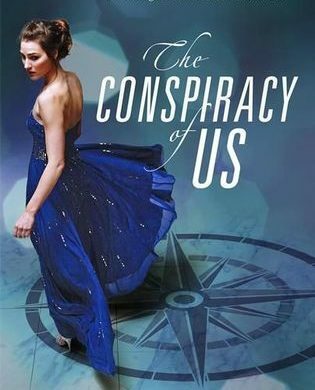 As Flynn and Lee attempt to uncover the truth about Avon, they realize that there is a conspiracy on the planet that runs deeper than either of them could imagine. This was a 10 on my not-able-to-put-down scale! I loved everything about it. The plot had the impetus of a tidal wave. It was built around a conflict that was stark and very tense. Though this book’s setting is on a world very different from our own, I didn’t have a problem visualizing where things were taking place. 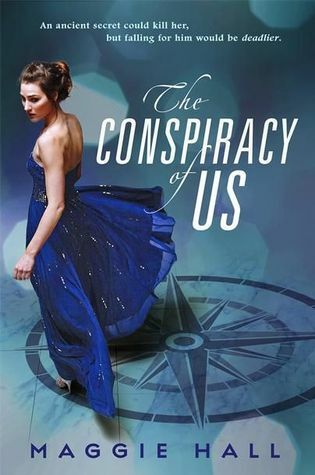 The characters were marvelously believable and wonderfully drawn. There was exactly the right balance between internal monologue and external action; enough of the former to make the extreme changes the two main characters go through seem not only feasible but necessary, and enough of the latter to continually glue my eyes to the pages. Such a joy to read! 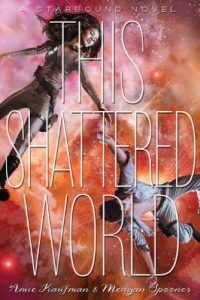 You can get This Shattered World through BetterWorld.com for $3.95. Have you read the third book in the series, Their Fractured Light? If so, what did you think?